The next few posts will be a photographic journey depicting our last few days spent enjoying beautiful British Columbia before moving across Canada to our new home in Toronto, Ontario. Before leaving BC to move to Toronto Ontario, we did our best to enjoy some of the impeccable nature that we knew we would miss. 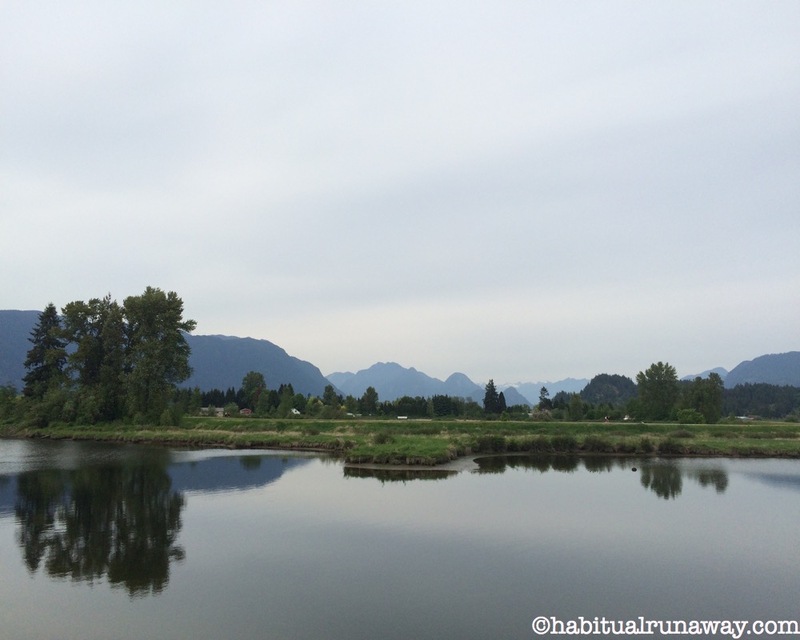 Right outside our door was a most spectacular path alongside the Fraser River called the ‘Matsqui Trail’. We had enjoyed it many times before and decided to take a last tour before leaving our beautiful home in Mission. 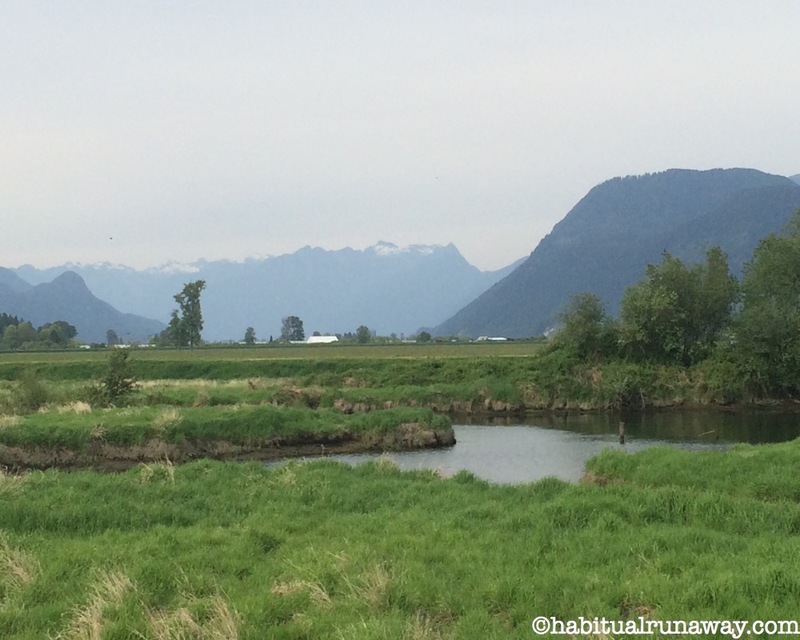 Matsqui Trail is a riverside dyke trail, with farm and mountain views. The park includes almost 14 kilometres of the Trans Canada Trail, and is popular with hikers, dog-walkers, cyclists and visitors on horseback. 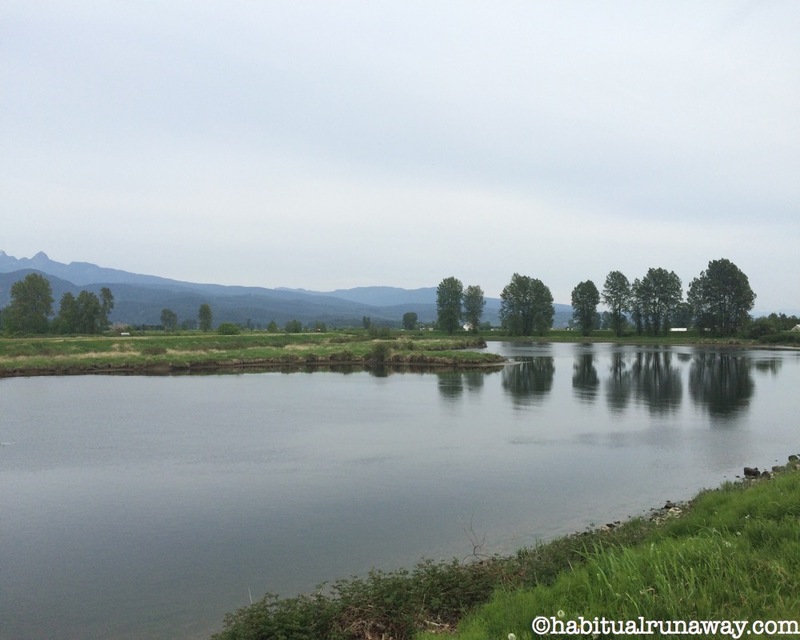 Matsqui Regional Park is managed by Metro Vancouver. The pathways are graded, gravel, flat and easy to manage even for those with disabilities. At every turn is an incredible photo opportunity. If I were to complain about anything it would be only that there are a few sections without shade and I am not a big fan of direct sunlight. 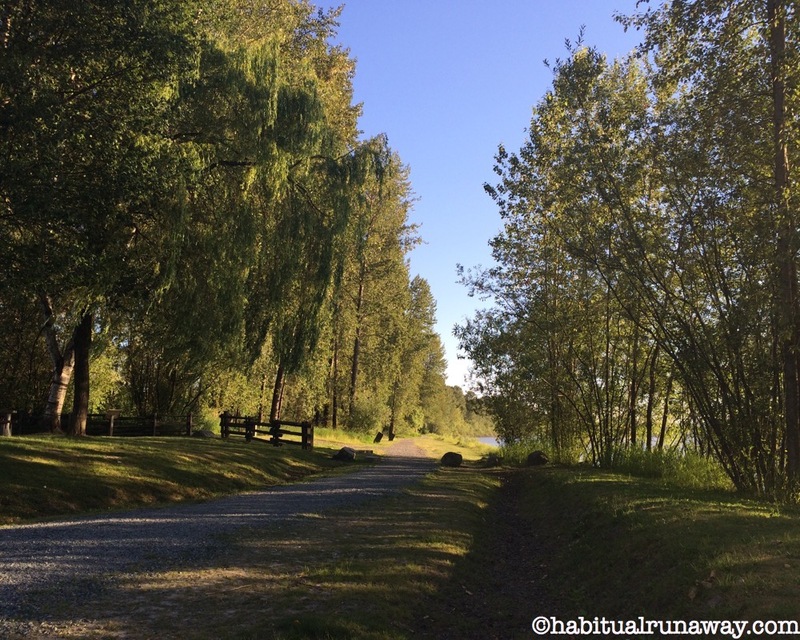 There are a few smaller paths that veer off of the main trail, leading you to the waters edge, and plenty of benches for taking in the gorgeous views and catching a rest. 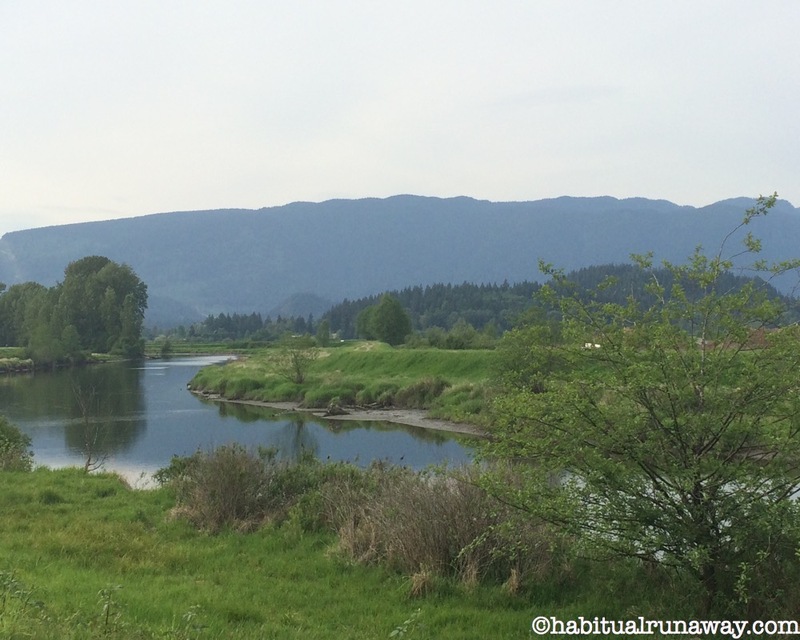 We didn’t only visit the Matsqui trail, we also hit a few other popular bike paths where I was able to capture the magnificent natural beauty that British Columbia offers, like depicted in the image below – taken in the neighbouring town of Maple Ridge. 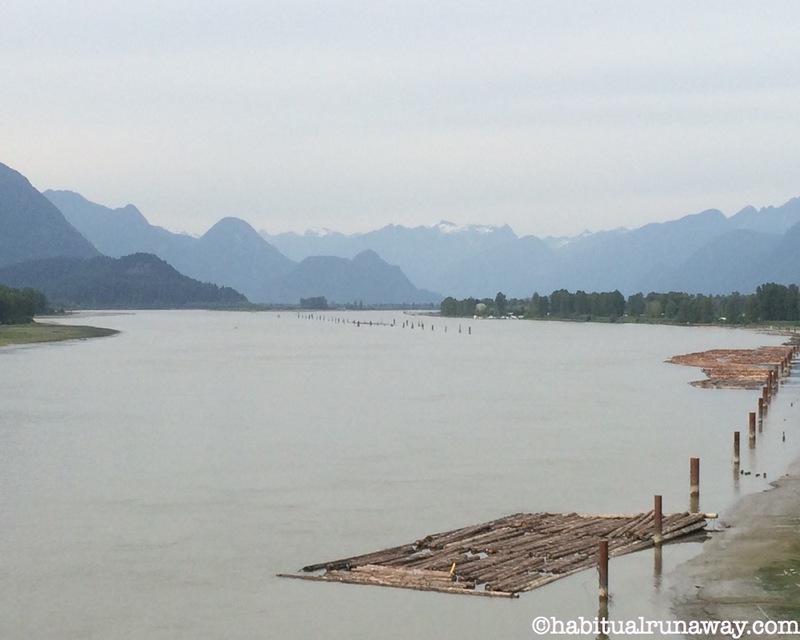 For more images and stories of British Columbia, head to the Canada section, or go to the Habitual Runaway on Facebook for more photos. 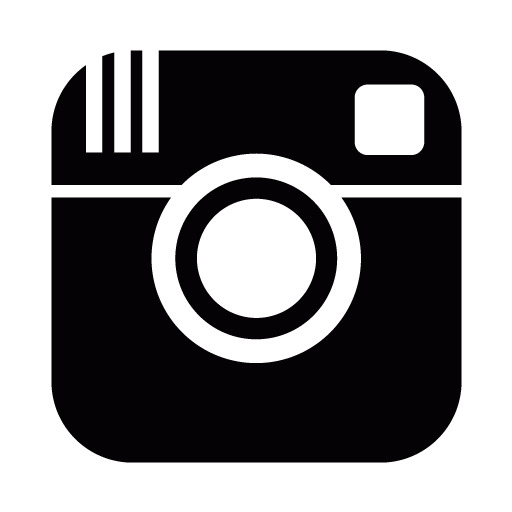 You can also join me on Twitter, Flickr, Instagram and now Tumblr! It looks like a beautiful area to visit. There will be wonderful places to see near your new home too! I’m looking forward to seeing new photos. Hope you are settling in to your new life in Toronto. My sister moved back to Ontario last year with her family. I feel that will be my fate too, some day. I do understand that. I already miss the mountains & ocean, the views & fresh air – & I have to admit I am NOT looking forward to winter, but I have been enjoying a much more active lifestyle – there is so much going on over here! I can’t complain – until the winter hits!! I’m not sure I could happily live away from the ocean! At least you have the Great Lakes, though. I’ve never been there. I must go soon!